The Seattle U.S. Export Assistance Center (USEAC) serves exporters in Western Washington State. Whether you’re looking to make your first export sale or expand to additional international markets, the USEAC will assist in trade counseling, market intelligence, business matchmaking and commercial diplomacy you need to connect with lucrative business opportunities. Pacific Customs Brokers is a service provider for U.S. and Canadian Customs Brokerage Services. PCB obtains clearances at any Customs commercial port of entry: air, ocean and ground anywhere in the United States and Canada. The Border Policy Research Institute (BPRI) is a multi-disciplinary research institute at Western Washington University. 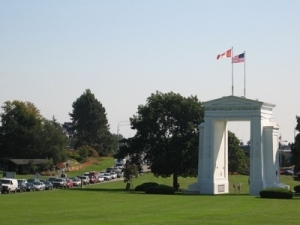 The BPRI focuses on research that informs policy-makers on matters related to the Canada – U.S. border. Priority focus areas are trade and transportation, economics, environment, immigration, and border security. The CBP offers information about importing and exporting from the U.S. such as, electronic export information, export licenses and changes to the Foreign Trade Regulations Export Requirements. 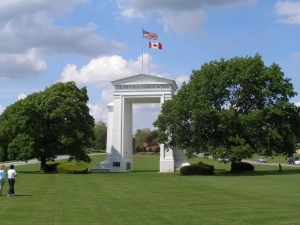 The NEXUS program allows pre-screened travelers expedited processing by United States and Canadian officials at dedicated processing lanes at designated northern border ports of entry, at NEXUS (CA Entry) and Global Entry (US Entry) kiosks at Canadian Preclearance airports, and at marine reporting locations.